Joao Alberto Barreto is one of the most important figures in the jiu jitsu community. A red belt under Helio Gracie, Joao Alberto Barreto is famed for his unbeaten competitive record in the 1950’s. He was also the Vice President of the first Jiu Jitsu Federation, having helped develop the rules of BJJ at a time when Jiu Jitsu as a sport was at ground zero. Joao Alberto Barreto is also a Law and Psychology graduate; an expert in sports psychology having worked with teams such as Fluminense and published important books on the subject in his native Brazil. 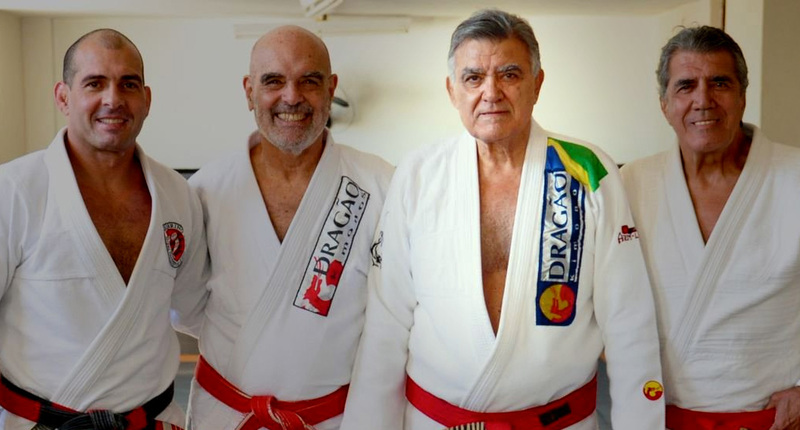 Joao Alberto Barreto was the 6th son of Antonio Carlos de Melo Barreto who was a good friend of Master Carlos Gracie (Senior). In 1950, just as Helio Gracie made his return to competition after a 12 year exodus with a victory over Landulfo Caribé, Mr Carlos Barreto requested Carlos Gracie to coach Joao Alberto. Joao Alberto was close to 15 years of age at the time, he was one of 10 boys in the family and he studied at a military boarding school where he grew to become incredibly strong and healthy, though he suffered from an acute stutter problem. Carlos Gracie agreed to take to young Barreto under his wing, and rapidly grew fond of the boy who turned out to be an incredible athlete. Carlos believed he had another prodigy in his hands, much like he had seen in Pedro Hemeterio (a champion Gracie fighter of the 1940’s), and he immediately put the young Barreto to the test. After only three months of training, Carlos arranged for Barreto to fight against a veteran competitor from Teresopolis by the nickname of “Bambambã”. The fight was declared a draw, but Carlos was not satisfied and demanded a rematch. After seeing what mistakes Bambambã had made and with only 15 days to prepare the young Joao Alberto for the rematch, Carlos taught exactly what Barreto needed to know to defeat his opponent, and so he did. With no more then 4 months of hard training Joao Alberto Barreto had easily defeated a well known fighter. As Carlos had little time to coach, and was more involved with the family business, he handed the young prodigy, Barreto, in the capable hands of his brother Helio Gracie. Helio taught everything he knew to Joao Alberto, and made him one of the most feared Gracie Jiu Jitsu students of the 1950’s. It is said that Joao Alberto Barreto went a full year, fighting every Monday without loosing one single fight, remaining unbeaten until the end of his sporting career. 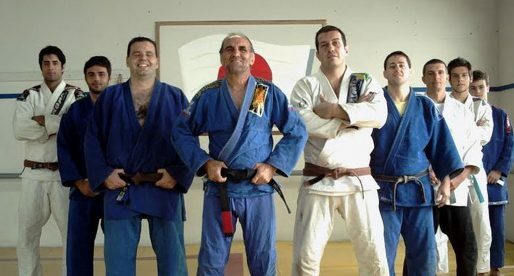 Joao Alberto became one of the head coaches of the Gracie Academy and also instigated Gracie Jiu Jitsu on to two of his brothers, Alvaro and Sergio Barreto, who followed their brother’s footsteps and became masters of the Gracie family trade. In the late 1960’s Joao Alberto became the Vice President of the very first Jiu Jitsu Federation in Brazil; an organization presided by Barreto’s master, Helio Gracie. With the help of people like the Gracie family, Oswaldo Fadda, Joao Alberto himself and may other coaches, the first draft of rules was written, laying the foundation of what Brazilian Jiu Jitsu is today as a sport. Being regarded in Rio de Janeiro as a very mentally strong competitor and coach, Joao Alberto Barreto was invited by the President of Fluminense Football Club (Francisco Luiz Cavalcanti da Cunha Horta) to be part of the club’s staff and help prepare the players mentally. This took place in the 1970’s when sports psychology was still at early stages in Brazil. Barreto took it upon himself to develop the subject academically and successfully completed his degree as a psychologist (adding it to a degree in law). In 1993 Joao Alberto Barreto and his team mate Helio Vigío were invited by the UFC (Ultimate Fighting Championship) to be part of the refereeing staff, thus becoming the first referees of the organization. How do you get in touch with this guy. I could use his mental coaching. Great mental coaching from him. 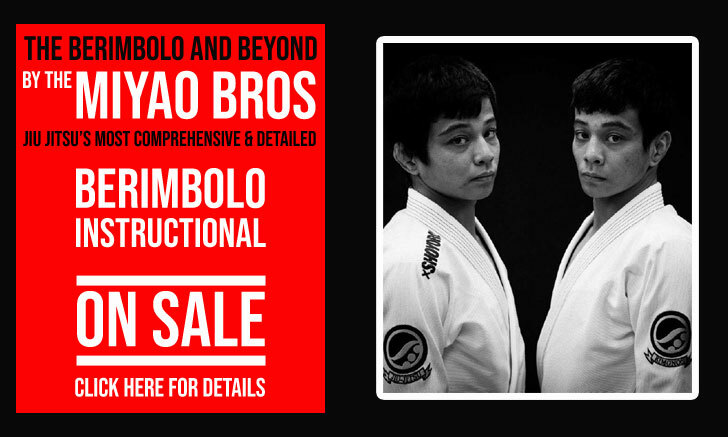 Not just for bjj, but everything else. He did help me with a lot with the mental game. Funny I play golf. "O primeiro herói do ringue" I spoke with him last week and he mentioned working with sports psychology with many of the top Brazilian fighters, Fluminense Soccer team and Brazilian Olympic Golf team. What an incredible person in the history of Gracie Jiu Jitsu.